The restaurant business in the mid-Atlantic states is booming, and with that comes the obligation to keep customers and facilities safe from kitchen fires accidentally sparked by hot oil, grease and high temperatures. 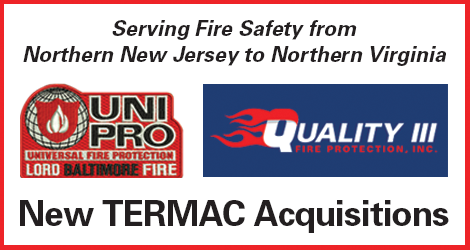 With the recent acquisitions of Lord Baltimore Fire in Baltimore, MD, and Quality III Fire Protection Inc. in Wilmington, DE, Universal Fire Protection (UniPro) now covers the hospitality industry’s fire safety and suppression needs from northern New Jersey to northern Virginia. The acquirement broadens UniPro’s capabilities that range from inspections to servicing fire extinguishers to designing an entire suppression system tailored to a particular commercial kitchen’s needs. The two new additions join Termac Corporation and our family of companies that include The Filter Man, G.T.O. Grease Trap Services, Universal Fire Protection and AllPro Stainless Steel and Metal Fabrication. As owners of Termac Corporation, my brother Terence and I look forward to more easily serving this extended geographic market by bringing our experience, knowledge and customer service to the table. We love that so many restaurants are expanding and new ones opening. 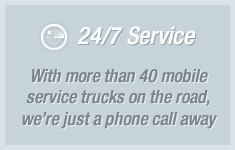 We are delighted to be part of that experience, providing fire safety and reassurance to businesses and their patrons.